Today was a Thursday like every other day. In school everybody should dress up in a special color, for example as a student of the 11th grade we could wear pink. Then in the third period, Luzie and I had to write a relatively easy chemistry test about a few substances. After school I've been waiting for my host-mum Valerie. We fetched Ryan, and then we went to a business dinner of Ryan's boss. 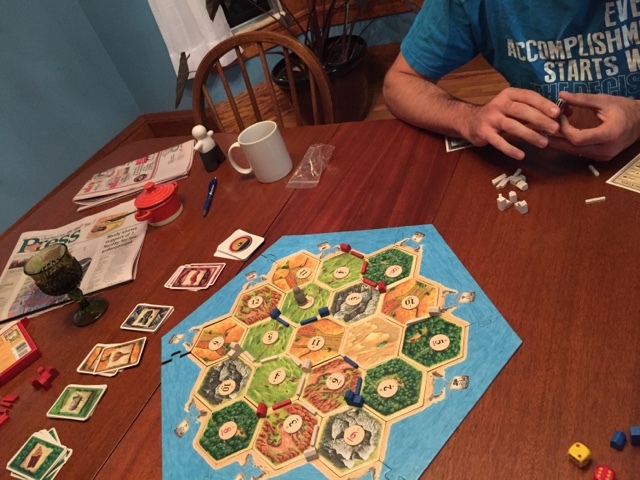 In the late evening we played the settlers of catan, where Ryan won the whole time.